Nestled serenely in the mountainous far north-west corner of Thailand adjacent to the Burmese border, there is a sense of remoteness to Mae Hong Son province. But it is this remoteness and history of isolation from Siam and Thailand that have helped mould Mae Hong Son’s unique cultural identity. 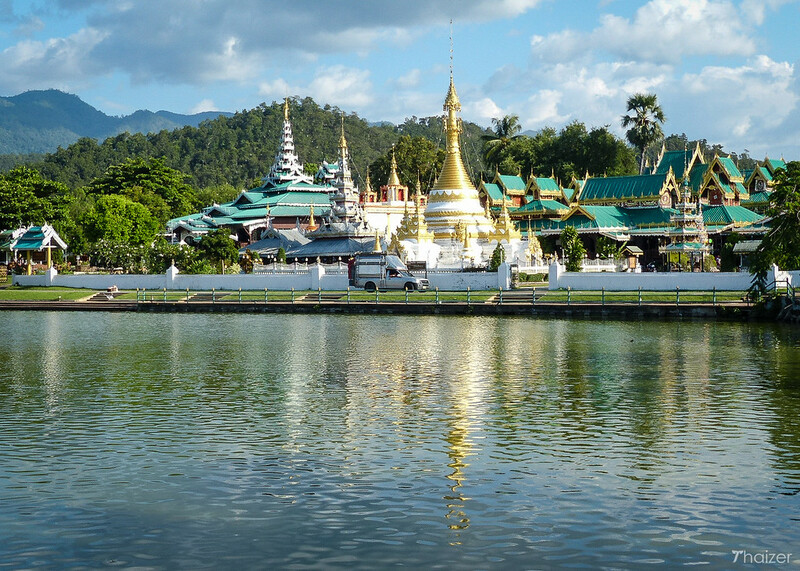 With a rich mixture of influences from Burma and China, stunning scenery and a cool climate, Mae Hong Son is one of the most rewarding areas of Thailand to visit. When booking accommodation in Mae Hong Son, make sure you are aware of the location. A number of resorts are located out of town to make the most of the scenic views. That can be ideal if you have your own transport, but if you don’t you may find staying closer to the centre of town a better option. There are a cluster of budget guest-houses near to the lake or for a bit more comfort take a look at Baiyoke Chalet Hotel or directly opposite Ngamta Hotel. Both these hotels are in the mid-range price bracket and have a convenient central location a few minute’s walk to the lake and the twin temples of Wat Chong Kham and Wat Chong Klang. Mae Hong Son is known as ‘The City of Three Mists’ and an early morning visit to the temple on top of the hill, Wat Phra That Doi Kong Mu, is one of the best places to see how apt that description is. With fabulous views of the city below and the surrounding mountains, the temple is particularly atmospheric in the early morning as mists swirl around in the valley before gradually burning off as the sun’s rays get to work. 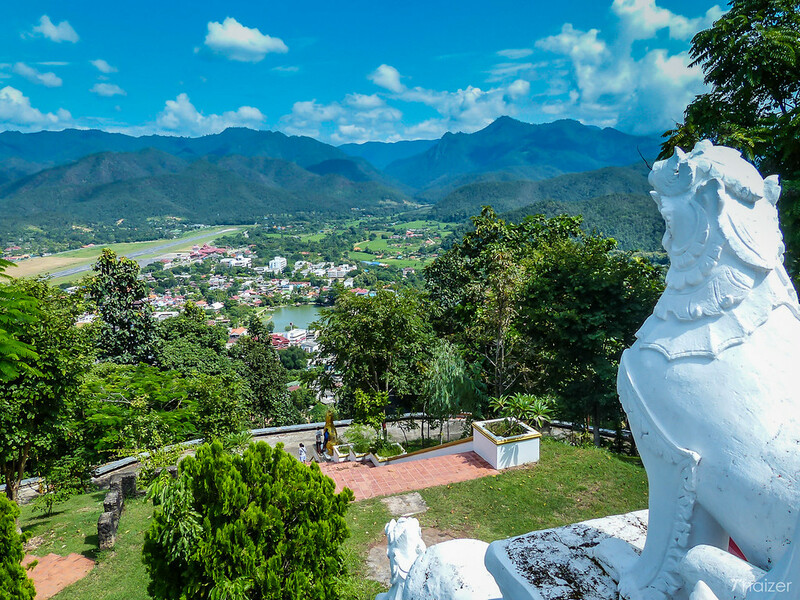 In the centre of town, the twin temples of Wat Chong Kham and Wat Chong Klang enjoy a pretty location with a lake in front and mountains behind. If you wake up early, you’ll see monks and novice monks from these temples filing out on their morning alms round at first light. Mae Hong Son is a good location to enjoy any of Thailand’s many festivals such as Loy Krathong or Songkran away from the tourist crowds. 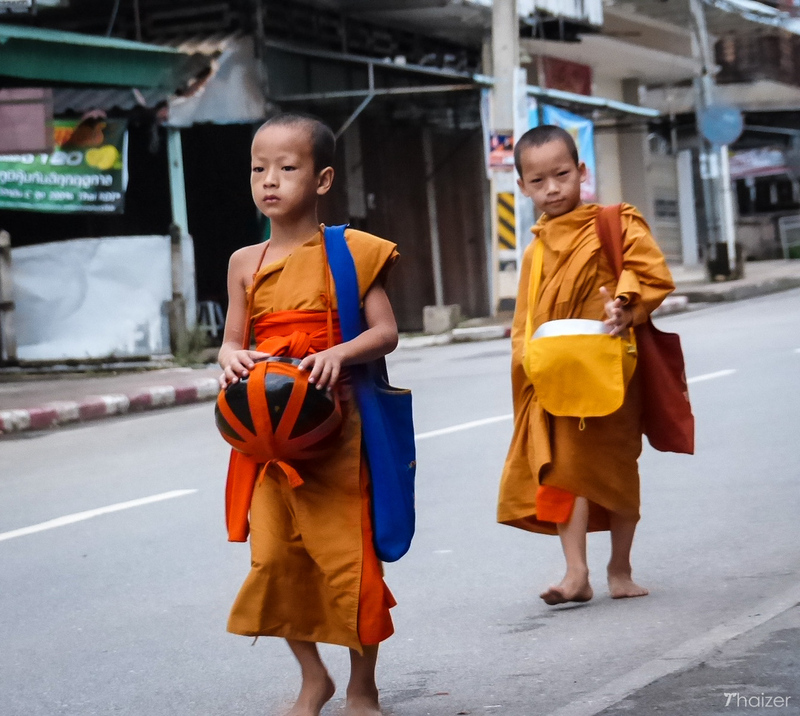 With a mix of cultures and traditions in Mae Hong Son there are a number of festivals with a very local feel. Two of the most colourful local celebrations are the Poi Sang Long ordination ceremony (usually held in April) and the Chong Para Festival (usually held in October). 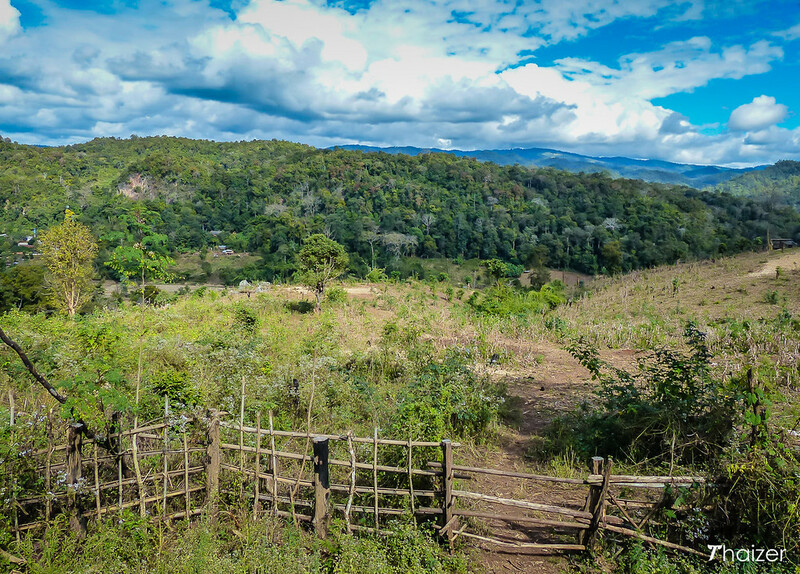 Away from the small city of Mae Hong Son the province has a host of natural attractions. For many of these it’s easier and arguably more fun to explore if you have your own transport, but if you don’t then tour offices in the city can put together trips for you to give you a taste of the rural charms of the province which include lakes, hot-springs, waterfalls and mountain villages. 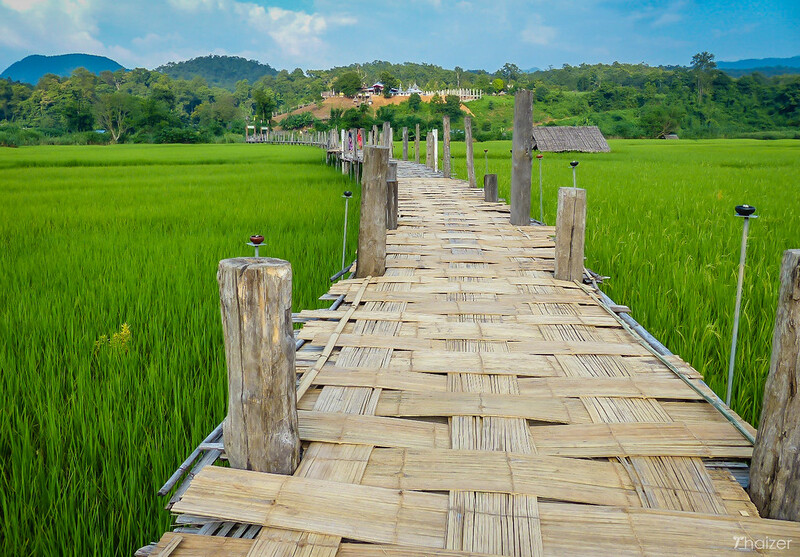 Probably the most well-known town in the province is Pai, a town which has seen a boom in tourism over the last decade and it makes for a good place to spend a few days if you are making the long journey by road between Chiang Mai and Mae Hong Son. With influences from Burma and China, there is a wide selection of food available in Mae Hong Son province. From Yunnanese food to traditional northern Thai favourites such as khao soi, sai oua and gaeng hinlay, there are plenty of options for foodies. In Mae Hong Son city, Pa Hom noodles is excellent for lunch and in the evenings Bai Fern restaurant is a good choice (see map below). 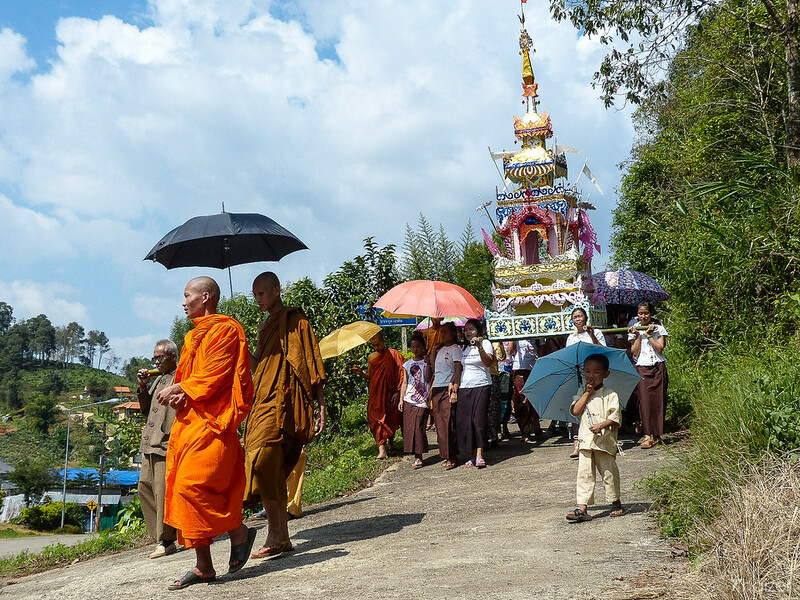 Although it can still involve some effort to reach Mae Hong Son, infrastructure has improved with Bangkok Airways currently operating flights between Mae Hong Son and Chiang Mai. Many visitors to Mae Hong Son travel by road, a scenic route of twisting curves with some glorious views of the mountains and valleys. If you are travelling to Mae Hong Son from Bangkok or most other areas of Thailand by air, rail or road, it will normally mean transiting via Chiang Mai. The cool season runs from November-February/March. Temperatures in Mae Hong Son can drop rapidly in the evening especially at higher altitudes and remoter areas so be prepared with suitable clothing. The mountain flowers are particularly pretty in the cool season with attractions such as the sunflower fields at Bua Tong drawing thousands of Thai tourists from December-January. March-April can see smoke and haze as farmers across northern Thailand burn crops and waste. The geography of Mae Hong Son means that the smoke pollution can linger in the valleys. The severity and effects of the smoke varies from year to year, but there have been occasions when it has resulted in flights between Chiang Mai and Mae Hong Son being cancelled. June-September/October brings the rainy season which can make some of the remoter roads in the province difficult to pass. The trade-off is that this time of the year is also known as the green season so the views can still be stunning.